By far, the best decision we have made for our wedding to date! In our minds, the ONLY place ... to get your wedding started. Choose from hundreds of themes, colors and designs that reflect the style and theme of your special day. Too busy to assemble your cards? Perfectly Invited offers busy couples full invitation assembly, so all you need to do is seal, stamp & send off! From textured linen stocks and stunning metallic papers to beautiful fine art Crane cotton papers, choose from our wide range of colors and paper weights. Have an already designed invitation file that you designed yourself or purchased on a marketplace like ETSY? 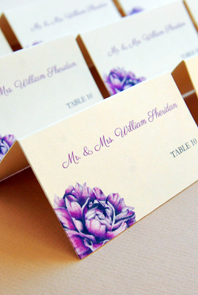 Have it professionally printed on any of our beautiful card stocks. 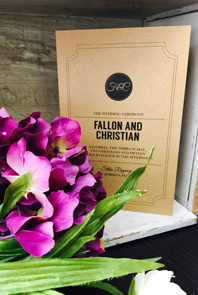 Talk one-on-one with our talented designers to assist you in creating your custom stationery. Our in-house design & print teams work quickly and efficiently so we can provide your stationery to you as quickly as possible. Go ahead, play around online and customize any save the date or wedding invitation card design template with your name and details till you love it. Use our custom stationery design maker to customize the fonts and colors for your own custom design. Have fun telling your love story. 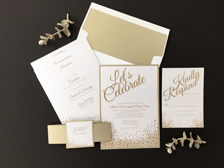 Make your invitations uniquely meaningful. Choose any save the date card or wedding invitation design from the comfort of your home. Enjoy the feel of quality wedding printing on great paper. Any of our invitations can be easily modified to work perfectly for shower or engagement party invites too! Choose from hundreds of themes, colors and designs that reflect your personality. Match your photo save the date postcards or magnet designs to your wedding invitation look and feel. Designs range from traditional to chic and sassy, whimsical and fun to sophisticated and elegant. Experience the carefree option of trying out unlimited items in our online "fitting room", where you're always first in line! New designs are added constantly, so check back often. 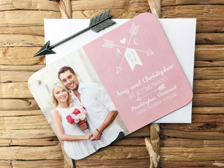 Starting with save the date cards or magnets to wedding invitations, Perfectly Invited has your wedding day printing needs taken care of too with programs, menus, place cards, seating charts and more. 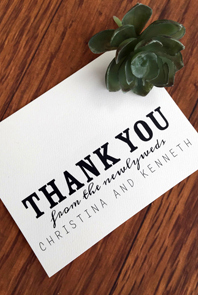 And don't forget to send beautiful thank you notes after your big day! You'll fall in love with our full range of save the date cards, wedding invitations, programs, thank you cards and more! At Perfectly Invited, you are in full control of choosing options that suit your style, preferences and budget. All pre-made designs available online are the same price. Pricing is dependent entirely on quantity, paper selection and finishing options. Our wide selection of paper options include textured linen stocks, stunning metallic papers, beautiful fine art cotton papers and classic matte finishes in a wide range of colors and weights. 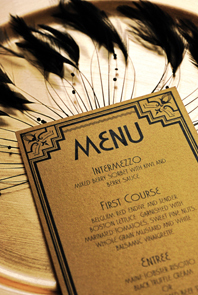 Finishing options such as mats and die cuts really add pizzazz to your final invitations. Too busy to assemble your invitations? Perfectly Invited offers busy couples the option to have everything assembled so all you need to do is pop the envelopes in the mail box! Couples who love to participate in hands-on craft assembly are welcome to do so and save a bit while having fun with the wedding arts and craft project! 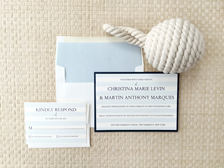 Time to start with your wedding stationery project by having fun shopping around right now.